Alexander Kolchak, the son of a major-general of the Marine Artillery, was born in St Petersburg in 1873. Kolchak graduated from the Naval Cadet Corps in 1894. He joined the Russian Navy and served in Vladivostok (1895-1899). Kolchak took part in the Polar expedition led by Eduard Toll (1900-1902). During the Russo-Japanese War he served as an officer on the cruiser Askold, and later commanded the destroyer Serdityi. He was awarded with the Order of St. Anna for sinking the Japanese cruiser Takasago. Kolchak was given command of a coastal artillery battery during the Siege of Port Arthur. He was wounded during the fighting and was taken as a prisoner of war to Nagasaki. After being released he was promoted to lieutenant commander in April 1905. The following year he was appointed to the Naval General Staff, with responsibility for protecting St Petersburg and the Gulf of Finland area. In 1912 he was assigned to serve in the Russian Baltic Fleet. In 1914 Kolchak was given command of the flagship Pogranichnik, and during the early stages of the First World War he oversaw the laying of extensive coastal defensive minefields. He was later put in charge of the naval forces in the Gulf of Riga. In August 1916 he was promoted to the rank of Vice-Admiral and was given command of the Black Sea Fleet. After the fall of Tsar Nicholas II, he was recalled to Petrograd. Alexander Kerensky, the Minister of War, feared that Kolchak might organise a military uprising against the Provisional Government. He therefore sent Kolchak to the United States as a military adviser. He also spent time in England and Japan. 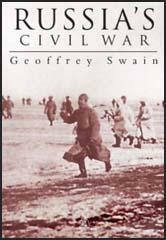 He was in Manchuria when the Bolsheviks gained control of the country after the November Revolution. General Lavr Kornilov now organized a Volunteer Army and in January 1918 his forces numbered 3,000 men. 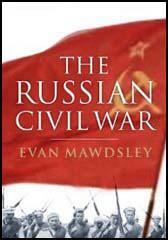 Over the next few months other groups who opposed the Bolshevik government joined the struggle. Eventually these soldiers became known as the White Army. Kolchak joined the rebellion and agreed to become a minister in the Provisional All-Russian Government based in Omsk. Others who joined included landowners who had lost their estates, factory owners who had their property nationalized, devout members of the Russian Orthodox Church who objected to the government's atheism and royalists who wanted to restore the monarchy. In November 1918, ministers who were members of the Socialist Revolutionary Party were arrested and Kolchak was named Supreme Ruler with dictatorial powers. His first action was to promote himself to Admiral. The Socialist Revolutionaries (SR) now changed sides and joined forces with the Red Army. Kolchak reacted by bring in new laws which established capital punishment for attempting to overthrow the authorities. He also announced that “insults written, printed, and oral, are punishable by imprisonment". Other measures imposed by Kolchak included the suppression of trade unions, disbanding of soviets, and resturned factories and land to their previous owners. Kolchak was accused of committing war crimes and one report claimed that he had 25,000 people killed in Ekaterinburg. His behaviour resulted in the Czech Legion leaving the White Army. In March, 1919, Kolchak captured Ufa and was posing a threat to Kazan and Samara. However, his acts of repression had resulted in the formation of Western Siberian Peasants' Red Army. The Red Army, led by Nestor Makhno and Mikhail Frunze, also made advances and entered Omsk in November, 1919. Kolchak fled eastwards and was promised safe passage by the Czechoslovaks to the British military mission in Irkutsk. However, he was handed over to the Socialist Revolutionaries. He appeared before a five man commission between 21st January and 6th February. At the end of the hearing he was sentenced to death. Alexander Kolchak was shot by firing squad on 7th February, 1920.